I’ve got a few things brewing right now, several disjointed thoughts on a variety of topics that I’m working on posts for, but for now, here’s another picture. 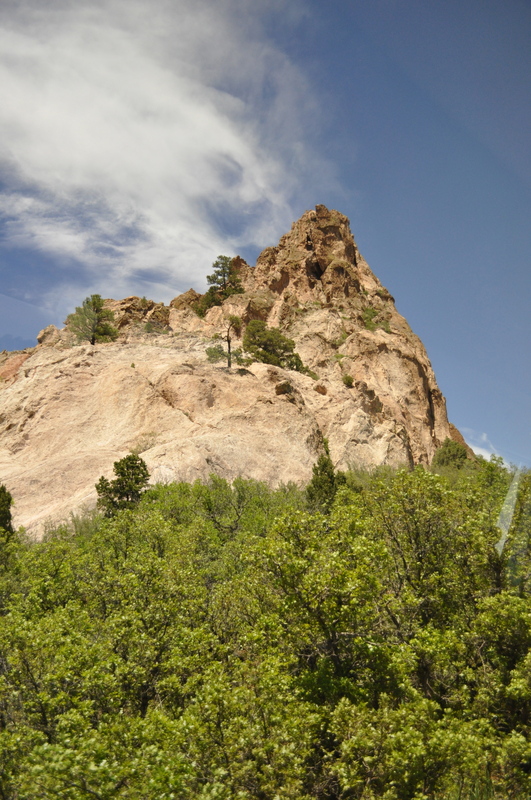 This time, from Denver, a couple of summers ago… During a stop at the Garden of the Gods, I think. There are two things that really excite me when it comes to taking pictures… landscapes, or close-up stills (usually of flowers, or of small things at different angles). I have been known to take lots of pictures when walking through botanic gardens, just to play with how the light was catching something. But landscapes, especially if they involve mountains… Always something that catches my attention.